Bohler’s Angle <25 degrees suggests calcaneal fracture. 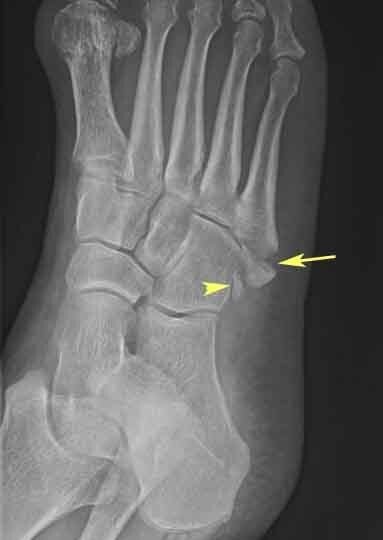 The calcaneus is the most commonly fractured tarsal bone. If a patient has a calcaneus fracture, look for associated fractures like hip and lumbar spinal fractures. *Pseudo-Jones’s Fracture (Avulsion Fracture) Treatment is with ace wrap and cast shoe and patient can bear weight. 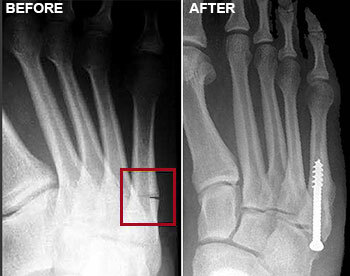 *Jones Fracture Treatment is non-weight bearing, post mold and likely surgery. Posterior knee dislocation pretty much mandates a CT Angio looking for popliteal artery injury. Harwood comment: In 2015, there is no reason not to do a CT Angio for posterior knee dislocations. Prompt diagnosis of a popliteal artery injury may save an amputation. The only reasons to not do it would be a patient with a low GFR or allergy to contrast. *Osteochondritis Dessicans Occurs most commonly in adolescents at the medial distal femur. It is not a traumatic disease. It is a developmental disorder. Treated with non-weight bearing. 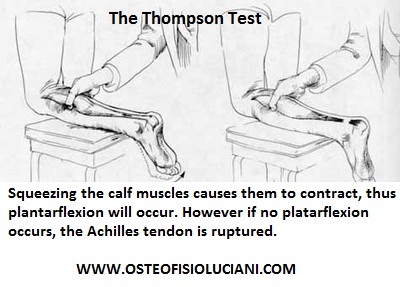 *Thompson’s Test for Achilles tendon rupture. 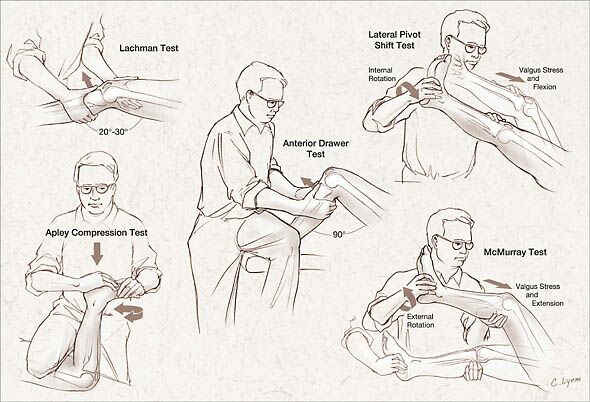 You can also use ultrasound to diagnose Achilles tendon rupture. *Lis Franc Fracture Be alert for fractures at the base of the 2nd metatarsal and imperfect alignment of the 2nd metatarsal with the middle cuneiform. These two findings are markers for a Lis Franc fracture. 59yo male presenting with generalized weakness. Patient has chronic jaundice that has worsened. He uses daily ETOH. Vitals abnormal only for tachycardia of 117. Patient had some bruising on his chest. Abdomen was distended but non-tender with no peritonitis. Liver was enlarged. Stool was brown, hemoccult positive. Patient was tremulous. Patient was initially treated with CIWA protocol, IV fluids and vitamin supplementation. Ammonia level was normal. Coagulation studies were prolonged. Imaging showed ascites and gallbladder sludge. Patient was in the ER for 6 hours. He remained hemodynamically stable. When patient was evaluated by the admitting physicians in the ED, the patient was less alert. A CT done at that point, showed an intracranial hemorrhage. Considering the weak cirrhotic patient, do a broad work up. Look for infection, elevated ammonia level, GI bleeding, anemia, intracranial bleeding, and cerebral edema. A CT head is recommended for cirrhotic patients presenting with weakness. Harwood comment: Is there data to support that recommendation? Elise comment: You have to be really careful with patients who have cirrhosis. However I am not going to CT scan the head of every weak cirrhotic patient. I will scan them if their mental status is not normal or the mental status changes in the ED. There was a lively discussion about the difficulties of evaluating a patient with chronic cirrhosis and weakness. Most people felt that weakness alone would not prompt a CT head initially. However, these patients need frequent re-evals in the ED to evaluate for any change in mental status. At times re-evaluation is difficult due to the pressure in the ED to keep seeing the next patient. You have to take the time to re-evaluate the patient if a nurse calls about the patient, if an admitting doctor or consultant raises a concern, or before signout. Treatment for ICH in a cirrhotic patient: FFP is the recommended reversal agent in this setting. Vitamin K has questionable benefit but you should still give it 10mg IV. Elise comment: Don’t give Vitamin K subQ in cirrhotic patients as it can cause hematomas. Give it IV. Give platelets if the count is <10K. FEIBA is not recommended. Factor 7 is not indicated. Harwood and Elise comments: If the cirrhotic patient has abnormal coagulation studies but no life threatening bleed, don’t try to fix the coagulation numbers. These patients have complex coagulation abnormalities and trying to fix the numbers may actually make them hyper-coaguable. Risk factors for chronic pain: high pain intensity, long duration of pain, anxiety, depression, work safety, associated litigation, poor pre-trauma health status. Opiophobia: We sometimes avoid opiates due to concerns about respiratory depression, hemodynamic instability, masking neurologic injuries, and the subjectivity of pain. Research shows that older adults tend to get treated less for pain, many trauma patients get no pain medication and there tends to be long delays to pain medication administration in trauma patients. The research also has shown that opioid pain medication in trauma patients does not increase intubations or other complications. Ketamine is an NMDA receptor blocker. It has been used by anesthesiologist to treat pain and lower the need for opioid treatment. PCA analgesia administration in trauma patients has to be used judiciously so that you don’t hinder early mobilization of these patients. Early mobilization is key to preventing chronic pain. Regional anesthesia has the advantage of less sedation, less respiratory depression, and less constipation/nausea. *Facial Nerve Blocks For longer action of anesthesia use bupivacaine with epinephrine. Note that all three facial blocks line up with the pupil. Harwood comment: To anesthetize the central forehead you have to place bilateral supraorbital nerve blocks. Elise comment: You can lay down a line of anesthetic parallel to the upper eyebrow to anesthetize a broad area of the forehead. Continuous epidural infusion of lidocaine or bupivacaine can be used for multiple rib fractures, thoracic or abdominal post-operative pain. *Intercostal nerve blocks can also be used for rib fractures. Insert the needle in the posterior axillary line. Direct the needle down to the rib initially and then re-direct below the rib to anesthetize the nerve. 54 yo female not feeling well a week after total knee surgery. Patient noted some decreased urination. Incision site did not show signs of infection. Urine shows blood and signs of infection. CT chest shows pneumomediastinum, free intra-abdominal air. IV fluids were given. IV antibiotics were given. Surgery was emergently consulted. Initial thought was that the patient may have an esophageal injury due to intubation from her knee surgery. Patient did go to surgery and was found to have a perforated diverticulum and some necrotic bowel. There was no esophageal injury. Central obesity, smoking, and etoh use increase risk for diverticulitis. Patients with diverticulitis should be referred for colonoscopy in 6 weeks to be evaluated for colon cancer. 10% of diverticulitis cases can’t be differentiated from colon cancer initially. There was a lively discussion about this unusual case. It’s still hard to see the final diagnosis. Why would a perforated diverticulum have associated necrotic bowel. Why the severe mediastinal air? A lot of unanswered questions. Patient presents with bloody diarrhea. Just returned from Africa. IDPH was called when the patient arrived to the ED and IDPH advised that the patient was unlikely to have Ebola. Patient travelled from a country that is not Liberia, Guinea, or Sierra Leon. ID consult agreed that the patient did not have ebola. Stool cultures were sent. 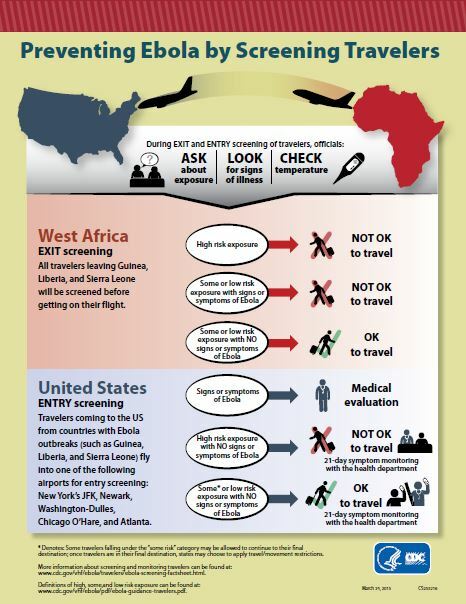 *Screening of Travelers for Ebola Screening only occurs for travelers from Liberia, Guinea, and Sierra Leon. Elise comment: This patient came from a country that did not have reported ebola cases. Be careful not to raise panic in the ED for a traveler not from Liberia, Guinea, or Sierra Leon. Christine comment: In the middle of the night, call epidemiology because they have the most up to date knowledge of the current hospital protocols.